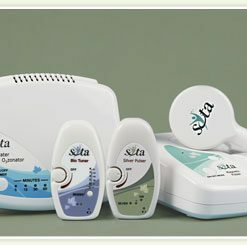 The Silver Pulser SP-7 is the main part of the Sota Instruments ‘basic wellness kit’ that also includes the Magnetic Pulser and Water Ozonator. Features include a built-in ‘constant current circuit’ for the Ionic/Colloidal Silver output, as well as a LED Light that indicates when the current through the electrodes is working correctly. The Silver Pulser is housed in an attractive new custom plastic box, with a built-in compartment for the 9 Volt battery. A slide-off lid allows you to change the battery easily. A Thumbwheel Switch Control Knob turns the Silver Pulser on and off and varies the intensity of the “Bio-Stimulator Probe” output. A Green LED Light comes on when the Silver Pulser is turned on. Flashing Yellow LED light on the unit indicates there is a correct “Bio-Stimulator” output and comes on only when current is flowing. Red LED Light indicates low battery. In addition, an Orange LED light is used for the Ionic-Colloidal Silver generation. The Orange LED Light comes on when current through Silver Wires is correct. The Silver Pulser has one USB style jack for plugging in the Fine Silver Wires, another for the Stimulator Probes. A second jack is used for hooking up an AC-DC Wall Adaptor so you don’t have to go through batteries when making Ionic colloidal silver. We also include Cotton Sleeves to put over the Bio-Stimulator Probes for helping to maintain a good connection when moistened. The Silver Pulser is packaged in a custom soft carrying case for easy storage. Each Silver Pulser is a professionally designed quality instrument, thoroughly tested on an oscilloscope and is guaranteed to operate as per the specifications in the famous physicists research. The Silver Pulser is a dual-function instrument, being both a Bio-Pulser and Ionic Colloidal Silver Generator. 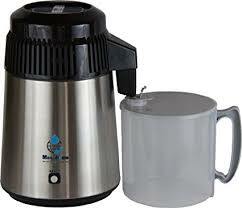 The Silver Pulser generates the finest quality Ionic Colloidal Silver at a rate of 5-8 ppm (parts per million) in approximately 1 hour per 16 ounces of distilled water, with an Ionic Colloidal Silver particle size that is mostly ions, with colloidal particles in the range of 0.005 – 0.015 microns (Verified on a Scanning Electron Microscope). It has a Bi-Phasic output frequency of ~3.92 Hertz (cycles per second) at a nominal voltage of 31 volts DC peak per cycle. Peak to peak voltage is 62 volts. Unit uses a single 9-volt battery. The Silver Pulser circuit board is produced for the highest quality and performance. All solders and fluxes are food-grade for highest safety and purity. 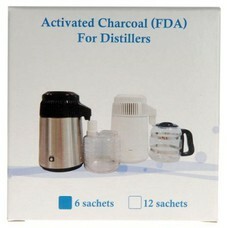 If you want to make ionic colloidal silver you will also need a ‘Water Distiller’. 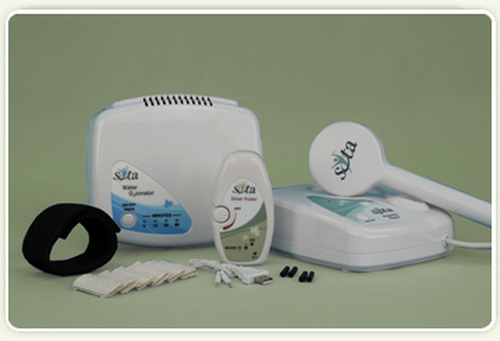 The Sota Instruments water ozonator is an essential part of the basic wellness kit and is the result of several years research and development. This is a true 200mg. per hour ozonator that is built to last a lifetime. 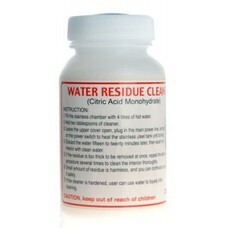 Ozonating your drinking water is a fast and safe means of neutralizing germs and pathogens. It takes only a few minutes to produce a lovely, refreshing glass of water! With the concern of food-borne bacteria, many consumers give their fruits and vegetables a 15 minute ozone bath in a basin of water to reduce the presence of various contaminants. As an added bonus, fruits and vegetables stay fresher and crisper for longer by introducing extra oxygen. 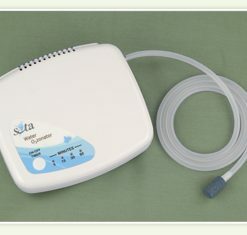 Please note that we do offer other water ozonators for sale due to the high quality standards of the Sota Woz-5. This is not an exaggeration! The ozone coming from the Woz-5 aerator stone has a “sweet” smell to it….just like nature produces. Even the taste of the ozonated water is different from other ozonator brands. The Woz-5 water is very refreshing and the taste is not offensive or bitter as in other ozonated water we have sampled. ORP (oxidation-reduction potential in millivolts) – unit takes less than 2 minutes to achieve a max. ORP of +1,000 mV in an 8 ounce glass of chilled distilled water. For 32 ounces, full ORP saturation would take less than 10 minutes. The Magnetic Pulser MP6 is Sota’s new two speed model. It offers the benefits of a pulsed magnetic field to help balance the body’s natural electricity for health and wellbeing. Fast Mode: The Fast Mode has 1,600 pulses per timed session with an output at the coil face of 2,500 Gauss. Pulses are delivered approximately every second. Regular Mode: The Regular Mode has 255 pulses per timed session with an output at the coil face of 6,000 Gauss for deeper penetration. Pulses are delivered approximately every five seconds. The Magnetic Pulser MP6 is a professionally designed quality unit, very rugged and built to last, the machines are thoroughly tested and guaranteed to operate per specifications. How to use the Magnetic Pulser: The pulsed magnetic field creates a flow of electrons. The Hand Paddle of the Magnetic Pulser can be held over any area to generate microcurrents. It penetrates through clothing so it can be used while fully clothed. Bio-North Magnetic Pole Polarity (-) or South-Seeking is clearly identified on one side of the pulsing coil. This gives the user the choice of applying either Bio-North (-) or Bio-South (+) pole energy to the site. The Magnetic Pulser by Sota Instruments is a pulsed magnetic field generator that is professionally designed, thoroughly tested and guaranteed to operate as per the design. The MP6 operates under a different principle than products using permanent magnets that have a steady, unchanging magnetic field. 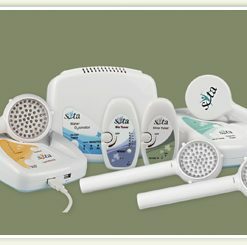 The Magnetic Pulser is part of highly acclaimed basic wellness kit that also includes our Silver Pulser and Water Ozonator. The Magnetic Pulser is not designed to affect the entire body at one time; instead, the round applicator coil is used to target specific local areas of the body. Pet owners especially appreciate the magnetic pulser’s non-invasive applicator. There is never any sensation or electrical shock when using the magnetic pulser. The applicator head is clearly marked for positive and negative polarities. The side of the applicator displaying the Sota Instruments logo is positive polarity and the opposite side is labeled as negative North Pole. In most cases, the negative North polarity is suggested as it is a constricting or confining energy, whereas the positive polarity is said to stimulate activity and growth. You may also wish to purchase a Megahome Water Distiller, a nessasary component for production of distilled water to make colloidal silver. 12 Replacement filters for the Megahome Distiller, We advise placing two new filters into the noble housing every month.